The AVR-E3 series offers a maximum amplitude of 100V, with 500 ps rise time, 1 ns fall time, and a maximum PRF of 50 kHz. Instruments with the -B suffix include a complete computer control interface. This provides GPIB and RS-232 computer-control, as well as front panel keypad and adjust knob control of the output pulse parameters. 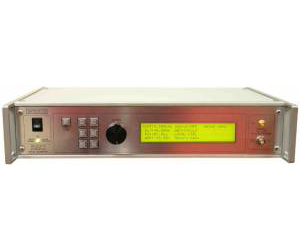 A large backlit LCD displays the output amplitude, frequency, pulse width, and delay.